Check out Professor Michelle O'Malley's appearance on Science Friday with host Ira Flatow. Prof. O'Malley was live on Friday, March 23, 2018, where she spoke about her lab's research into using gut microbes for biotechnology. “I’m a chemical engineer and that means that I want to harness the power of nature for producing useful products for humanity,” O’Malley said during the broadcast. 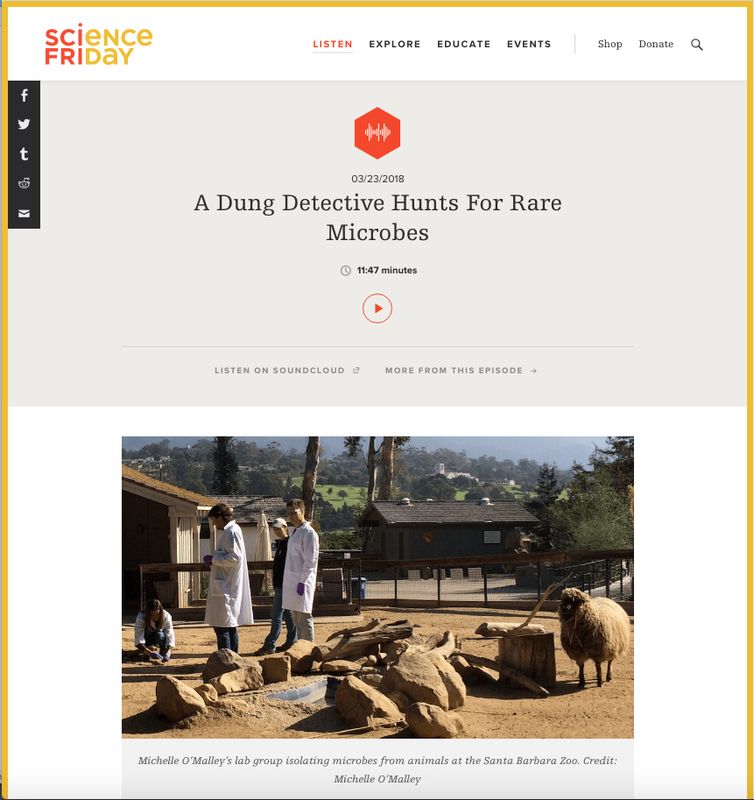 Professor O’Malley discusses her group’s collaboration with the Santa Barbara Zoo, where they isolate waste-degrading fungi & bacteria from the feces of large herbivores (e.g. goats, sheep). After isolating these unusual microbes, the O’Malley Lab works to understand the enzymes that are made by the microbes so that they can develop scaleable technologies for converting plant waste into fuels, chemicals, and even new pharmaceuticals. Science Friday airs every Friday providing radio and Internet listeners around the world with an informative discussion on science, technology, health, space, and the environment.